Reboot and Select proper Boot device error could be a serious system or hardware error. If you have no idea how to fix this error, you can take your computer to the repair shop to have it fixed. But before you decide to do that, you can try the top solutions in this post. You may fix the error on your own with these solutions. Then you don’t need to take the computer to the repair shop and save much money. Apply to Windows 10, 7, 8 & 8.1. Firstly, before you take further actions, make sure there is no USB device plugged, no DVD/CD inserted and no floppy in the floppy drive, as these devices can be the cause of the error. Then try the following solutions. If the power cable is broken or connected incorrectly, the HDD cannot be detected. Then the error would cause. You can test the power cable on another computer. If the error also occurs on that computer, the power cable is broken. Replace it with a new one. If the RAM is dusty, the computer may show you this error. Clean the dust on the RAM with a soft cloth and see if the error continues. Normally, Windows should boot from hard drive. 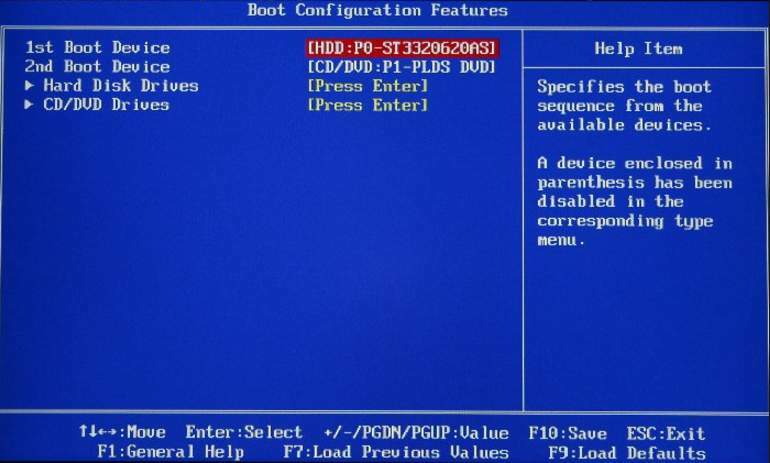 In the BIOS, if the first boot device is not set as hard drive but an external hard drive like a USB flash drive, the error would occur. 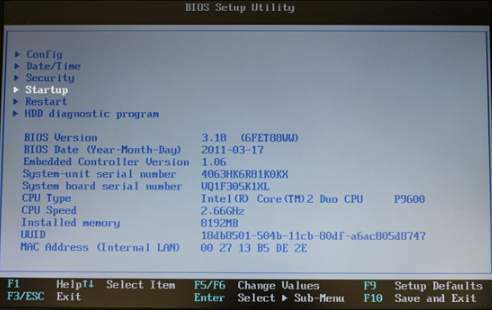 So go into BIOS to check and change the boot device to hard drive as first priority if necessary. The key or key combination you can use to enter BIOS depends on what PC brand you are using. You can go to the PC manufacturer’s website to check for that. If you are not sure how to enter BIOS, refer How to Enter BIOS for further information. After entering boot menu, follow the on-screen instructions to go to the Boot priority order part. You may see Enter Setup, Startup, Boot Device Configuration and something like that. Just follow the on-screen commands. Then set 1st boot device to HDD. The error would occur if some relate drivers are faulty especially drivers for SATA and RAID. Go to the PC manufacturer’s website to check for the latest drivers. If you have difficulty updating drivers manually, you can use Driver Easy to help you. You can use Driver Easy to scan your computer to detect all problem drivers. The scanning process takes a few seconds. After scanning completes, Driver Easy will provide you new drivers. Then you can download and install the drivers with several steps. Driver Easy has Free version and PRO version. With the PRO version, you can even update all drivers with just one click. Driver Easy PRO provides free expert tech support guarantee. You can contact us for further assistance regarding the “Reboot and Select Proper Boot Device” error and any other problems. What’s more, you can ask for a full refund for any reason with 30-day money back guarantee. Hope the solutions here will help you resolve the error. You are welcome to leave your comments below.